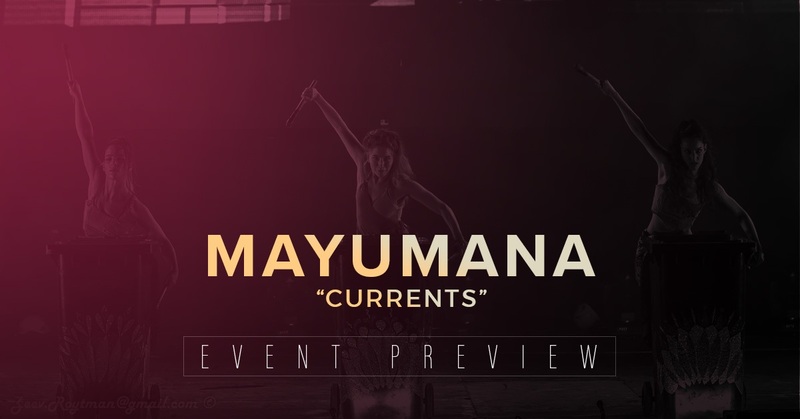 Inspired by the historical battle between Thomas Edison and Nikola Tesla on their quest for world energy sources, “Currents” by internationally renowned dance group Mayumana is a mesmerizing mix of movement, music, and visual effects. Audiences are taken on a journey between two troops, each representing a different view of the essence of light and electricity through their aesthetic and artistic approach. An exhilarating theatrical experience that appeals to all ages, the show was described by The New York Times as having “an infectious beat and physical pyrotechnics to match.” One of the most unusual and innovative productions ever brought to the Bankhead Theater stage, Mayumana’s “Currents” will be presented for one performance only on April 8. At the time, Edison had developed a means of generating electricity using direct current (DC), where the electrons flow in one direction only. Although DC became the standard in the United States, direct current could not be easily converted to higher or lower voltages. Tesla believed that alternating current (AC) was the problem. The two men waged a fierce public battle over which form of current was more effective, culminating in competing bids to power the Chicago World’s Fair in 1893. General Electric’s bid to power the fair using Edison’s direct current lost to Westinghouse’s bid using Tesla’s alternating current. When the Niagara Falls Power Company contracted with Westinghouse to generate power for all of Buffalo, New York, it appeared that AC had won the battle. Today, our power is provided by both AC and DC. In “Currents,” the audience will see the battle play out between two different groups accompanied by powerful original music. Whereas DC is represented through rhythm, AC is represented by fluctuating movement and musical components like playing on water, pipes, bottles, and musical instruments. Multimedia video throughout the performance gives different perspectives to the audience, amplifying the live action and creating a contrast to the on-stage narrative, as well as providing an additional layer of meaning to the show. At “Currents” UK debut in 2017, Mayumana’s artistic director Boaz Berman described the show’s evolution and its connection with its cast. Driven by a deep love for percussion and music, founders Elyon Nuphar and Boaz Berman created Mayumana in 1996. The duo attracted gifted performers from around the world, uniting their diverse talents, contrasting backgrounds and superlative technique to live out the company’s name, which is derived from Meyumanut, the Hebrew word for skill. Mayumana’s guiding principle is to “visualize the music” so the audience can both see the music and hear the movement. The power of each Mayumana show comes from the strong emphasis placed on the unity and synchronization of the group as a whole. Together they bring to the stage energy that is both inexhaustible and spellbinding, engaging audiences with a unique storytelling style that speaks to all the senses. There’s no doubt that Mayumana is a must-see performance at the Bankhead Theater. So get your tickets today and see why the Brooklyn Daily Eagle is calling Mayumana “the perfect escape from the outside world.” Contact the Livermore Valley Performing Arts Center for more information.